Does it work with an iPad? iPad Pro specifically? 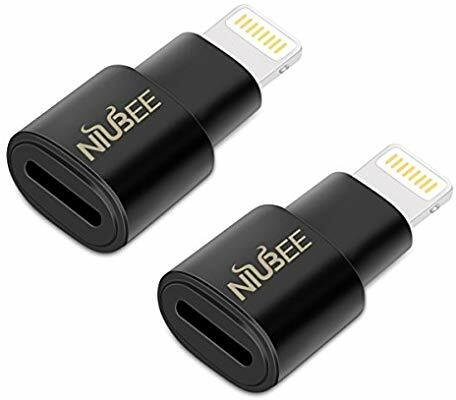 And is there a lightning connector extender available in general, to avoid disrobing your device? Does it work with an iPad? iPad Pro specifically? And is there a lightning connector extender available in general, to avoid disrobing your device? It does sound like overreach by the manufacturer. 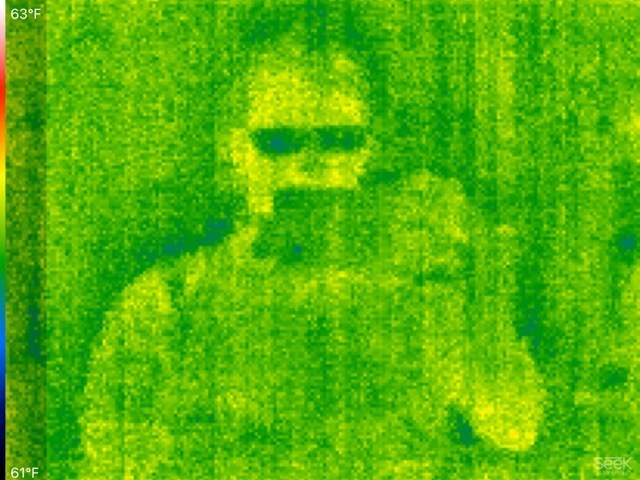 I don’t have an iPad Pro handy, but my 5th generation iPad works fine with the thermal imager and its Seek Thermal app. And the Lightning port extender posted by Fearghas looks like something I might have to try out! The 2018 iPad Pros don’t have a Lightning port; they have a USB-C port. So unless there is a USB-C Male to Lightning female adapter, I think there is a fundamental problem. 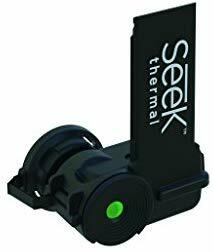 I’m running the latest (as of this moment) iOS (12.1.4) on both my iPhone and iPad and also the latest version of the Seek Thermal app (2.1.7.18). And to be clear, you (of course) have to grant the app access to the Location (for geotagging), Photos, Microphone, Camera Roll. And even if you opt-out of all these permission, it will still function as a thermal imager. You just can’t save photos & videos. Thanks for that update, Dave; it makes more sense than the review at Amazon. 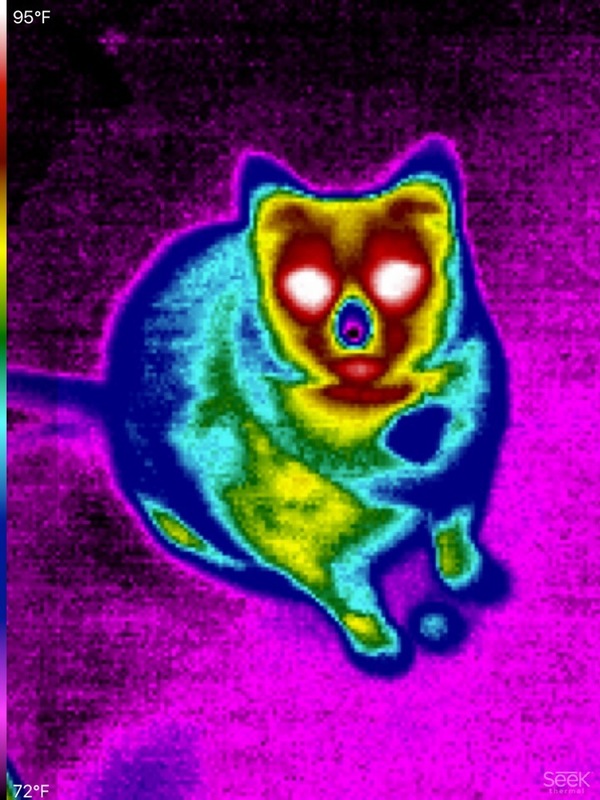 Can you alternate a thermal and a visible-light image, tomake it easier to know for sure just what the thermal image is framing? Hank, this is a great question. They have a feature that lets you split the view so that normal camera is on the left and thermal on the right. The annoying problem is that the left side is showing the left half of the object and the right side is showing the right half of the object. The software doesn’t offer the feature you intuitively expect: to be able to see the same object through two different cameras. If we’re lucky, they’ll read this post and a software update will be able to give us the feature we both want! I think that not mapping colors to absolute temperatures is a poor design choice, and there are a couple disadvantages I can see right away. Without this, you will not be able to compare different photos accurately. eg, if you have a thermal image of your dog, and one of your cat, you will not be able to say that the dog’s body temp is hotter/cooler than that of the cat. You can only do so if they’re both in the same photo. Also, suppose your fireplace is actually very well insulated, and the temperature difference is only 1 degree between hottest and coldest, the camera will still try to exaggerate that difference by showing the full spectrum of white to black, which could be misleading unless you also read the temperature legend. Call me a pessimist, but I could see someone trying to scam homeowners into having unnecessary work done when they are shown these ‘fancy high tech’ images without knowing how to interpret them. When connected to a smartphone, the FLIR ONE allows you to see the world in a whole new way. Thanks for your note, ptran8. It took me a while to respond because I understand and somewhat agree with your comments. But there are advantages to the current relative coloring approach which allows for a flexible dynamic range. Ideally, the software would give us the choice of absolute or relative color scales. It would be a fairly simple software change, so perhaps the manufacturer will read this and consider an update to their app! Claude, thanks for the note. Have you tried the FLIR ONE yourself? What do you like about it? Do you think it compares favorably to the Seek? there’s finally an affordable thermal imaging camera that plugs right into your iPhone. After following the Amazon link in the article, I ended up buying a much cheaper ($118) version of the camera that seems to be pretty much the same thing except made for Otterbox cases. It might not quite be as high resolution, but none of them are and that doesn’t interfere with the use case for these things. The otterbox aspect is irrelevant— it’s just an adapter you remove and don’t use unless you have an otterbox case. After getting the camera, I have two observations. 1: it didn’t work through my iPhone battery case (no camera detected by the app). It’s a cheap third-party case and though it has a lightning connector pass through on it, it apparently does not pass through camera data. When I took the case off and plugged camera directly into phone it worked fine. 2: camera does not work through windows. This makes sense when you think about it (infrared reflects off the window), but it was disappointing as I’d hoped it might show me if animals are outside without me having to actually go outside. I think the distance range on this cheap model is more limited, too, but I haven’t really tested it. But for my minimal needs and the cheap price of this, I’m happy with it. It’s a handy gadget. Nice follow up review!! The only thing missing is the name of the product and a link! Do you mind sharing? The only thing missing is the name of the product and a link! Basically it is a slightly different/older model than the one in the original review, but much cheaper. I can only think it’s on closeout or something. The Otterbox attachment is optional, leaving you with a tiny camera with a lightning connector. Amazon shows it is still stock for $118.99 with free (non-prime) shipping. The cheap one $118 on Amazon, which is the Seek LW-AAO, is an older version that doesn’t have manual focus adjustment. Instead, it has a fixed focus. This apparently causes an issue if you are too far away or too close to what you are looking at and there are complaints about blurry pictures. If you want to look at circuit boards, you’ll want the newer one with manual focus based on other reviews I’ve read. It’s hard to tell how much of an issue this is for the casual home owner that wants to check for bad insulation, water leaks, and other misc household uses. For these applications, the old one may be ok. If you want to be more adventurous in your use, you may want to consider the newer one. Dave – Do you find yourself using the focus ring adjustment very much when you’ve tested it out and used it?